to give farmers with customized crop and nutrient management recommendations. 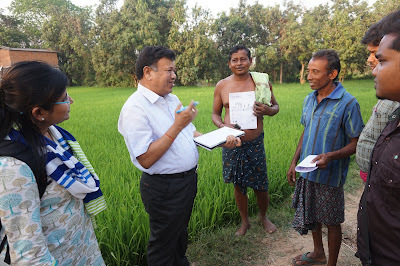 ODISHA, India—Rice farmers are now receiving site-specific fertilizer recommendations for their crop without having to leave their villages through the Rice Crop Manager (RCM). Available in Odia and English, RCM is a web-based tool developed by International Rice Research Institute (IRRI). It provides farmers with customized crop and nutrient management recommendations based on their actual field conditions and needs. Such recommendations can help increase the productivity and incomes of the farmers. BUJUMBURA, Burundi—Two high-yielding rice varieties released to the government of Burundi in March can help hundreds of thousands of farmers overcome a major disease in the country’s irrigated rice areas. Developed at the International Rice Research Institute (IRRI), IR87546-84-3-3-2 (photo above) and IR13A256, have yields of 7.5 and 6.7 t/ha, respectively, and possess resistance to rice blast, a fungal disease that can wipe out an entire crop. First Annual Review and Planning Meeting in Tien Giang province, Vietnam. TIEN GIANG, Vietnam - Intensifying rice production has been increasingly dependent on machines to speed up the work, such as for harvesting. But what to do about the rice straw that remains in the field? In the old days, rice straw was commonly burned to prepare the field for the next cropping, but the practice has been found to harm the air and environment and is thus no longer encouraged. There are also those who think that rice straw can actually have economic value. LOS BAÑOS, Philippines—"We are not done here because we still have a long way to go, and now our project will go into the hands of the real users," shared Dr. Ariel Cayanan, undersecretary for operations of the Philippine Department of Agriculture (DA) during the 2nd Annual Executive Meeting of the Philippine Rice Information System (PRISM) project on 29 March. "PRISM maps and monitors rice areas, and produces yield estimates," said Dr. Eduardo Jimmy Quilang, PRISM project leader and deputy executive director for Research at the Philippine Rice Research Institute (PhilRice). "In the past three years, whenever flooding or drought affected our rice areas, we call on the PRISM team to provide us with detailed information on the areas that are affected by such calamities," said Cayanan. He stressed that the data that PRISM provides can supplement official statistics used by the government. 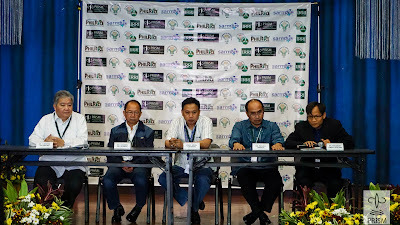 "Implementation of PRISM by PhilRice, with IRRI's support, will promote the success of the Philippine government's effort to add focus on historically underserved areas such as Mindanao,” said Dr. Bruce Tolentino, deputy director general for Communication and Partnerships at the International Rice Research Institute (IRRI). “The DA will continue to provide strategic directions, policies, and guidelines, PhilRice will establish the center unit of PRISM, and the DA regional field officers will continue to meet the operations at the regional level," he said. "Our meeting today has highlighted the impact that PRISM made in various parts of the country," said Abdula. "We found that, without a doubt, it has revolutionized rice science technology. This is only one of the many reasons why we support the sustainability of the project." LOS BAÑOS, Philippines—Seed security means food security and the production and immediate dissemination of seeds to farmers is crucial to rice productivity. 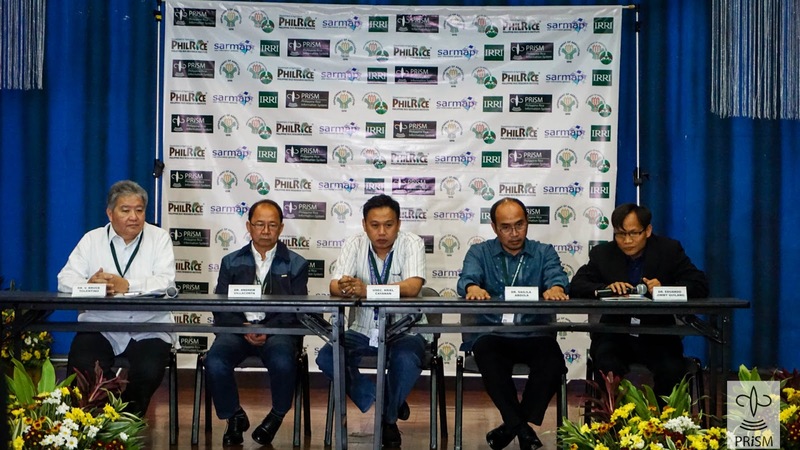 To this end, a consortium that promotes agricultural development in Asia and a network of farmers' organizations in the Philippines formally established a partnership to address one of the challenges of rice production. 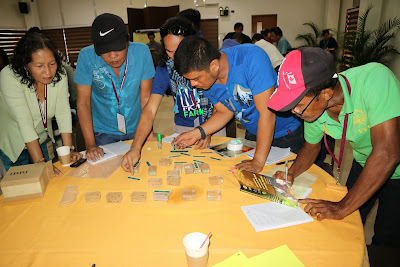 The Consortium for Unfavorable Rice Environments (CURE) and the Medium-Term Cooperation Programme with Farmers’ Organizations in Asia and the Pacific Phase 2 (AFOSP-MTCP2) organized the technical services and training for farmers on producing quality seeds of the most preferred, appropriate, and climate-change ready rice varieties. Around 20 farmers, farmer-leaders, and project partners from 10 provinces in the Philippines are attending the training on 4-7 April at the International Rice Research Institute (IRRI) headquarters. The event aims to introduce seed health management techniques, crop management practices, and various technologies in a seed-to-seed production system. The concept of community-based seed systems was also covered. Johnson also encouraged the participants to take an active role, share the knowledge they gain from the training, and build learning alliances. CURE and MTCP2 are two grants implemented in the Philippines by the International Fund for Agricultural Development (IFAD). CURE is a regional platform for partnerships among 26 research institutions from 10 countries in South and Southeast Asia. In collaboration with IRRI scientists and its research partners, CURE aims to benefit the 100 million farm households in Asia that are dependent on rice. MTCP2 is a network of farmers' organizations that aims to strengthen the roles and functions of farmers' organizations in policy processes and services to members, including the effective pro-poor services in actively participating in agriculture and rural development. Dr. Bruce Tolentino, deputy director general for partnerships and communication, emphasized the importance of the partnership between MTCP2 and CURE in enhancing the delivery of new climate-smart technologies to target communities. “This partnership as an important step in contributing to the objectives of IFAD's Country Strategic Opportunities Program and the new Philippine Development Plan toward poverty reduction,” said Mr. Jerry Pacturan, IFAD country program officer. "IRRI is an important partner of IFAD in contributing to food security and poverty reduction in the region." Mr. Ferdie Buenviaje, national coordinator and executive director of MTCP2, welcomed the partnership that links government and non-government organizations with farmers' network to strengthen their capacities in scaling up services and increasing their participation in agricultural development programs, as they continue to engage in policy fora for rural transformation. of organizations joined the discussion on IRRI's country strategy for Bangladesh and strategy for South Asia. DHAKA, Bangladesh—The International Rice Research Institute (IRRI) held a roundtable discussion on 28 March to ensure its draft country strategy for Bangladesh and regional strategy for South Asia are aligned with the priorities of the government, investors, and other stakeholders. “South Asia’s socioeconomic status, global funding for agricultural research, and national agricultural research landscapes are changing rapidly,” said Dr. Nafees Meah, IRRI's representative for South Asia. “To prepare and plan for these changes, IRRI is revising its country and regional strategies for South Asia. “As an international organization with strong track record in rice research, much social capital established in the region, and a big presence in the field, IRRI has a comparative advantage to work with various partner research institutes, the private sector, development agencies, other CGIAR centers, and investors and make a big impact in helping deliver the UN Sustainable Development Goals in South Asia,” he added. During the meeting, Dr. Anasar Ali, Bangladesh Rice Research Institute (BRRI) research director, discussed the rice research priorities for Bangladesh while Dr. Matt Curtis, deputy director of the Feed the Future Program of the United States Agency for International Development Bangladesh, presented the donors’ perspectives and priorities in agriculture and overall development in Bangladesh. The half-day roundtable discussion was chaired by Mr. Anwar Faruque, former Secretary of the Ministry of Agriculture of Bangladesh. More than 40 scientists, policymakers, investor representatives, development professionals, and rice experts from a wide range of organizations, including the Ministry of Agriculture, Bangladesh Agricultural Research Council, BRRI, Bangladesh Institute of Nuclear Agriculture, Bangladesh Agricultural Research Institute, Bangladesh Agricultural Development Cooperation, Department of Agricultural Extension, BRAC, ACI Limited, South Asian Association for Regional Cooperation, and other international developmental organizations attended the event. National stakeholders praised the more than five decades of partnership between IRRI and Bangladesh and IRRI’s significant contributions to improving the country’s food security and rural livelihoods. The participants requested IRRI’s continuing support in the supply of genetic materials, varietal development, crop and natural resource management, mechanization, socioeconomic research, and capacity building in Bangladesh. bacterial blight. Inoculation and disease assessment in breeding populations were also part of the course. LOS BAÑOS, Philippines—Eleven rice researchers from Pakistan attended a workshop on managing a bacterial rice disease as part of the Agricultural Innovations Program (AIP) that aims to strengthen Pakistan’s breeding program for Basmati and indica rice. Bacterial blight is one of the most serious diseases of rice. The earlier the disease occurs, the higher the yield loss. It can damage as much as 60–70% of susceptible rice varieties and can even result in crop failure, especially when disease strikes at the seedling stage. Rice infected by bacterial blight near its reproductive phase produces poor quality grains, high sterility, and low grain weight. The proper management of the disease would impact the value chain of Pakistan’s cereal crops, according to Dr. Jacqueline Hughes, deputy director general for Research at the International Rice Research Institute (IRRI) where the workshop was held on 27-31 March. “There is a need to shorten breeding cycles and release new crop varieties in Pakistan as soon as possible,” Abdelbagi Ismail, head of IRRI’s Genetics and Biotechnology Division. He emphasized the importance of strengthening current and future collaborative efforts between IRRI and its national program partners in building up breeding programs. The training program covered field disease diagnosis and assessment, pathogen isolation, culture collection maintenance, molecular approaches for detection of a pathogen, advances in breeding high-yielding rice varieties with disease resistance and tolerance to flooding, drought, and salinity. The participants who attended the workshop were from the Rice Research Institute at Kala Sha Kaku, Nuclear Institute for Agriculture and Biology, National Institute for Biotechnology and Genetic Engineering, National Agricultural Research Centre, Soil Salinity Research Institute, and Engro Fertilizer Ltd. The AIP for Pakistan is funded by the United States Agency for International Development. BANGKOK, Thailand—The CGIAR Research Program (CRP) on rice agri-food systems (RICE) is developing a framework for partnerships that will work to intensify and diversify Asia’s rice-based farming systems. Under its Sustainable Farming Systems project, RICE will develop and deliver options that will improve farm livelihoods and rural diets while minimizing the environmental footprint of rice-based farming systems in potential target regions across Asia. To achieve this, the program held a workshop on 28-29 March in Bangkok to develop a framework for partnerships with other agri-food system CRPs, CGIAR Centers, and national and international institutes to improve farm livelihoods and rural diets, while minimizing their environmental footprint, through novel rice-based farming systems . Potential target regions are eastern India, Myanmar, southern Bangladesh, Laos, Cambodia, Vietnam, and Indonesia. The workshop was attended by scientists and experts representing Food and Agriculture Organization of the United Nations, International Center for Agricultural Research in the Dry Areas, International Crops Research Institute for the Semi-Arid Tropics, World Vegetable Center, and the International Rice Research Institute (IRRI). Participants from national agricultural research and extension systems of Bangladesh, India, Myanmar, and Thailand also joined the event. Among the outputs of this activity include identifying the main challenges and opportunities in crop diversification, developing conceptual model systems for specific environments and countries, developing research methodologies and work plans for possible funding, and exploring options to create a consortium on rice-fallow systems in Asia. Dr. Bas Bouman, RICE Director, and Dr. David Johnson, Head of the Crop and Environmental Sciences Division (IRRI) led the workshop.